After Moscow, Beijing and Guangdong, the Culture Chanel exhibition has landed on Coco’s home turf in Paris, as part of the guest program of the Palais de Tokyo, a contemporary arts center. At every stop, it’s been reconfigured by the curator Jean-Louis Froment. This time, the focus is on N°5. The show teases out every element in Chanel’s life that went into the making of N°5, seen as the crucible of the Chanel lexicon: an artifact that would not only express the quintessence of what Chanel was about – her life, her loves, the avant-garde artists and writers she surrounded herself with – but would also serve as a template for what Chanel would become. 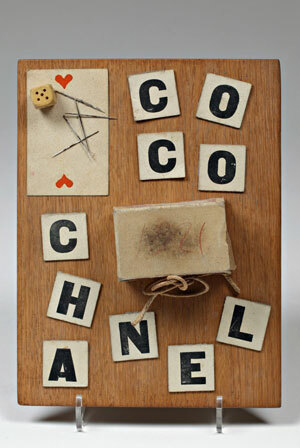 [i] The pieces on display are, in a way, the raw materials that went into the composition of “Chanel”. “This isn’t only the construction of a stylistic heritage, but the creation of a lexicon which only an artist is able to constitute when he has the intimate desire to imagine his life and impose the forms of his discoveries to others. [Chanel] understands that art’s sublime strength is the trace”, Jean-Louis Froment wrote in 2007 about the Moscow exhibition. Of these women, Chanel was the only one who left as lasting a trace on our culture as her contemporaries Picasso or Duchamp, whom she knew since she was a keen observer of the avant-gardes, from the Ballet Russes to Cubism, Dada and Surrealism. She befriended artists and writers, collaborated in artistic ventures and was a generous sponsor/protector. 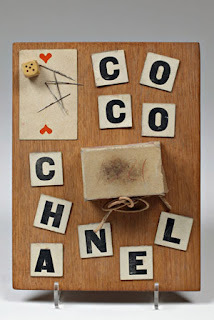 But beyond merely acting as a patron of the arts or even channeling/recycling the visual codes of the avant-gardes, or being just as sensitive as them to the zeitgeist, Chanel took what she saw and what she was to shape it into her own language. N°5 Culture Chanel suggests this by showing mostly small-scale exhibits in Perspex display cases, with parallels between objects owned or produced by Chanel and works by artists or writers she actually knew. For instance, the original N°5 box is shown alongside a collage by Picasso and a card distributed by the Dadaists, whose font is reminiscent of Chanel’s. An article written by Chanel on historical fashions, with a focus on Catherine of Medici, sheds light on Chanel’s fascination with women of power – her portrait with a ruff collar echoes a portrait of the Renaissance queen who brought Italian sophistication to French perfumery and kick-started it as a luxury industry… Catherine’s seal? A double “C”. 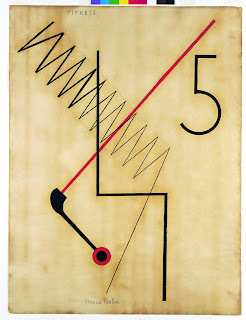 A few exhibits, such as the piece by Francis Picabia depicted above or the Max Ernst heading the French version of this post, also show that eerily, the figure 5 was popping up in works of art at the time… The word “quintessence”, which comes from the Latin for “five”, is an alchemical term. The Surrealists dabbled into the occult, a field Chanel is said to have been initiated into by her lost lover Boy Capel. 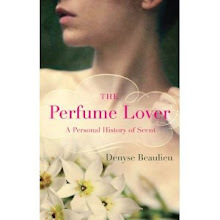 In fact, one of Jean-Louis Froment’s hypotheses is that in creating a perfume, Chanel aimed to conjure the presence of Boy beyond the grave, because of perfume’s power to bring back the absent… Uncannily, the exhibition’s last piece was bought in an auction two weeks before the vernissage: it has yet to be attributed. The installation doesn’t demonstrate. Rather, it is a mise en regard of exhibits that go from the books owned by Boy Capel to the artworks shown in the background of older Chanel ads, or which formally inspired them. The French term mise en regard is translated as “juxtaposition” or “comparison”, but the word regard means “gaze”: things that are looking at each other, or that we look at together. A collage in which the elements are not frozen into a specific interpretation, but left open to echoes and interpretations, “renewed with each visitor’s gaze”, as Froment writes of works of art. N°5 was never meant to be purely olfactive: it has always-already been a whole including the name, the box, the bottle and the narrative – a narrative so strong no romantic, evocative name was needed on the label, since Gabrielle Chanel herself was the story. 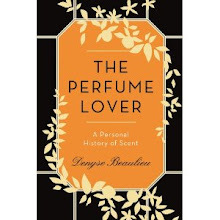 It was conceived that way, and was never encountered otherwise – like all the great perfumes that became classics, it imprinted itself in our culture because every element in it was consistent and strong. That said, N°5 may be the sole fragrance to have achieved this to such an extent: perhaps no other could be the object of a similar exhibition – say, Shalimar --, because no other fragrance brand owner self-mythologized, ordered and displayed her lexicon, in the way that Gabrielle Chanel did. The show also offers olfactory workshops conceived by Chanel’s in-house training staff and Cinquième Sens – for instance, you can smell an accord of the naturals in N°5, with or without aldehydes. A tiny, dead-simple, practical demonstration that does much more for the understanding of Ernest Beaux’s innovation than proclaiming that it is a masterpiece. Open daily except Tuesdays from noon to midnight. [i] In my perfume history courses, I show my students what Chanel designed at the time N°5 was created (Octavian Coifan was the one who drew my attention to this). Just after WWI, she wasn’t all about the fabled Little Black Dress: she also did colors, frills and embroideries. The signs of Chanelitude she would go on to codify when she made her comeback in 1953, and her whole streamlined, Modernist stance, were somehow contained in and predicted by N°5.